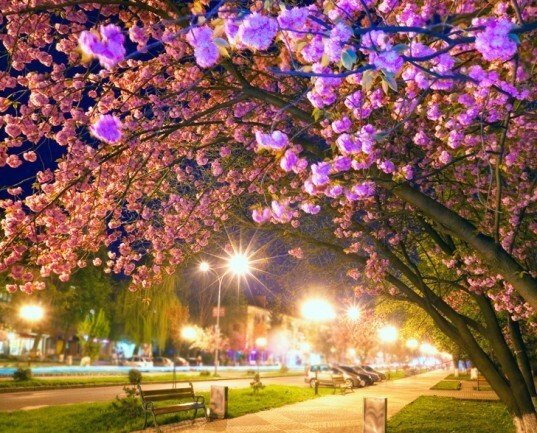 Could Golden Nanoparticles Transform Trees Into Street Lights? Street lights are an important part of our urban infrastructure—they light our way home and make the roads safe at night. But what if we could create natural street lights that don’t need electricity to power them? 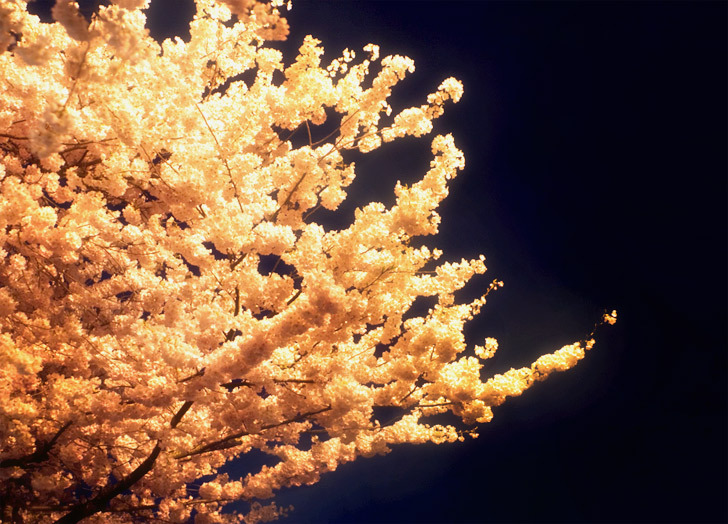 A group of scientists in Taiwan discovered that placing gold nanoparticles within the leaves of trees causes them to give off a luminous reddish glow. The idea of using trees to replace street lights is an ingenious one: not only would it save on electricity costs and cut CO2 emissions, but it could also greatly reduce light pollution in major cities. “In the future, bio-LED could be used to make roadside trees luminescent at night. This will save energy and absorb CO2 as the bio-LED luminescence will cause the chloroplast to conduct photosynthesis,” Dr. Yen-Hsun Su said in an interview with Chemistry World. The Royal Society of Chemistry, the largest organization in Europe for advancing the chemical sciences, applauded the discovery and published the paper by lead scientist Dr. Yen-Hsun Wu in the journal Nanoscale. I think if this innovation was successfully tested and implemented it would be the pioneer of a completely different approach with regards landscaping and spatial framework development all over the world. This innovation could bring rise to various developmental advantages and infrastructural benefits on a large scale. We must be thankful to scientists who have aided in making this discovery. Not to be a bother, but has anyone asked what happens when bugs, birds, and this little guy [http://goo.gl/WP0iW] eat from these golden tree-lights? Sometimes I despair..... another article leaping to unfounded conclusions, touting so-called benefits of technology-over-Nature. Sure it's interesting, even a bit cool in a passing way. But useful? It seems to me like yet one more instance of our vast misunderstanding of how systems link causes with effects, as well as our cluelessness regarding natural organisms and their functions. I don't understand why this was even listed in Inhabitat. this is a real good idea. except for anything eating the gold, or trying to live in the trees at night, or the trees themselves. or eventually us. modifing nature has always worked out so well for human. nyhiipe said: "shining UV and blue light from LED is just simply a BAD idea – the lights emitted from LED in the UV and blue spectrums are already proven to be HARMFUL to the human eye and children under the age of 12 are extremely susceptible to this – …the intense blue-white light exerts “toxic stress” to the retina, with a severe risk of glare. Children are particularly sensitive to this health hazard since their eyes are still developing and the lens is not capable of filtering out the harmful wavelengths." I don't think that's what they're suggesting at all. Under lab conditions artificial UV light is required, but in the real world such organic LEDs would be powered by the Sun's rays, and then probably a chemical reaction that released the energy stored by the nanoparticles as a form of "chlorolight" would be used every night that didn't damage the collection process. Having said that, blue and UV light is emitted from neon lamps and such, so I doubt we'll be seeing manufacturers changing those because of a health risk anytime soon. White, pink, amber and green lighting would be best from what you've said, however, which are more common from the old street lamps and probably wouldn't create the same medical problems. Can the trees be turned off? If the branches are lopped off do they glow? What is the effect on humans who live close to the trees for a few years? FYI the images provided are unrelated. They're trees under normal lighting. shining UV and blue light from LED is just simply a BAD idea - the lights emitted from LED in the UV and blue spectrums are already proven to be HARMFUL to the human eye and children under the age of 12 are extremely susceptible to this - …the intense blue-white light exerts “toxic stress” to the retina, with a severe risk of glare. Children are particularly sensitive to this health hazard since their eyes are still developing and the lens is not capable of filtering out the harmful wavelengths. don\'t put a relatively new idea into too many CREATIVE IDEAS without the proper testing and trials first. get your FACTS right - fluorescent powder is toxic, phosphur is NOT. I have mixed reservations about this project; particularly in the hues that the trees will be able to generate. Most people with Photosensitive Epilepsy suffer as a result of continuous shifts in the colour when they are looking at it. When the trees are "breathing" light in this part of the spectrum, people with the condition may suffer a seizure. If, however, the same technique can be used to generate additional colours, I see no reason why it couldn't be approved as a viable technology. I am simply amazed by the truly moronic responses to this wonderful science story. ya know, TerraHertz has a very good point: \"How about we humans just stop trying to make night like day?\" I, too, would like to have the beautiful dark night sky and stars back in the city. What about you? Together, we can do this. Fascinating. . . but, what is the goal here? to illuminate the tree or the ground beneath it? Look at the deep shadows beneath the trees... how can that simulate the effects of a properly designed streetlight? btw, it is rare to even see a properly designed street light. Most streetlights greatly contribute to light pollution unnecessarily so, simply because the wrong design was chosen... and many are not even needed at all! Citizens are way too complacent to permit BAD LIGHTING installed in their neighborhoods... many shining into the privacy of their own homes. Even, otherwise thoughtful, homeowners seem to be totally oblivious to their security lights shining into their neighbors' property and windows. We are way too excited to grab onto new technology clueless to its effects to human health or to the environment. Be careful with nanotecno and blue LEDs... and, it is wise to cautiously limit artificial light at night both inside and out as much as you practically and safely can. Don't take my word for it; there is compelling, interesting research to back these concerns. search it out. Awesome idea! I hope this actually happens. What if you live in the desert? Can they make tumbleweeds glow, or maybe the cacti? what is the goal here? to illuminate the tree or the ground beneath it? Look at the deep shadows beneath the trees... how can that simulate the effects of a properly designed streetlight? btw, it is rare to even see a properly designed street light. Most streetlights greatly contribute to light pollution unnecessarily so... and many are not even needed at all! Citizens are way too complacent to allow it. We are way too excited to grab onto new technology clueless to its effects to human health or to the environment. Be careful with nanotecno and blue LEDs... and, it is wise to cautiously limit artificial light at night both inside and out as much as you practically and safely can. There is compelling, interesting research to back these concerns. In addition to the excellent point made by others, I'm concerned about the rush to employ nanotechnology while we still know very little about the effects of nanoparticles on humans and other biological systems. We already know that the size of particles can make a huge difference to biological effects. For instance, air pollution due to ultrafine particles is much more harmful than pollution containing larger particles. "...it could also greatly reduce light pollution in major cities." I'm a professional lighting designer and this statement makes no sense. The way to reduce light pollution is to aim the source at the task, e.g. ; all the light from a street light should aim down. It seems laughable to assert that all the leaves will point in the same direction. Hint for the Taiwanese scientists: trees will give off even more light... when you burn them. @Brook Its not that I want them to drop it all and say \"my life is useless\"... if nothing else, science gets by much better when people are adding ALL their ideas to the conceptual stew. Just, their suggested application seems nonsensical, and reporting it as \"the future of streetlamps\" seems a little distant from the truth. If they were proposing to use the red-glow ability to, in the future, engineer trees that can display advertisements in glowing red during the daytime (when UV radiation is actually substantial), then at least that would make sense. What they are currently saying is akin to saying \"We tried putting water skiis on our feet, and we were able to waterski behind a boat and stay above the water\'s surface. Perhaps in the future, these advanced skiis will let us walk over any water body at our leisure.\" Without the motorboat and/or cruising velocity, there\'s no chance of waterskiis letting you just walk across water. In the same way, there\'s a small chance of these glowing trees working at night when there is practically no UV radiation to power them. it worked on Pandora, so why not earth! Wow. This clearly isn\'t a practical application, yet but with all these comments you guys would prefer this person to give up. This is exciting if for no other reason than the ideas it will generate. Be nice if the pictures actually showed the stuff in action instead of daytime pics with applied color effects or the one night time pic with obvious uplighting. Yes, to everything kpoole asked. Plus, pics of some red-glowing leaves or it didn't happen. All the illustrations to this article are near-IR photographs of ordinary scenes. How about we humans just stop trying to make night like day? I for one would like to have the beautiful dark night sky and stars back in the city. Vehicle lights, and cheap, efficient, non-light-polluting personal LED lights at night - who really needs more? How does it affect the trees themselves? What do the trees think about this? at over $1000 an ounce, I hardly think gold will be used in the near future to light up trees. hmmm... based on what I remember about chlorophyll, when the molecules are free (eg not attached or "plugged in" to the photosystems in the plant chloroplasts)they will fluoresce red under radiation. This behaviour comes about because the energy has nowhere to be transferred after absorption, and becomes re-emitted as light. When chlorophyll is properly incorporated in a photosynthetic framework, it doesn't glow because its extra energy powers the rest of photosynthesis. Based on these points.... it seems reasonable to assume (to me) that the gold nanoparticles are somehow disrupting the ability of chlorophyll to transfer its energy to the photosynthetic pathway. IF this is the case (granted I don't know for sure that it is), then any plant with this modification would not remain healthy for long. Disrupting photosynthesis means no production of carbs, amino acids, etc, and would probably lead fairly quickly to the death of the plant. Additionally, it would require gold (not cheap), which would get lost as the plant lost leaves. And, perhaps most uselessly, without ultraviolet radiation, there would be no glow. Hence, at night, when the light is actually needed, the trees would be dark as ever. I agree with kpoole that chemical illumination is a far better path, like that found in fireflies or jellyfish. Ummm, what happens in fall / winter when the leaves start dropping? So, we implant Gold nanoparticles into the leaves of trees which then fluoresce when exposed to ultra violet light. Who collects the gold in the fall when the leaves drop, where does the gold come from to implant each year, how much gold would be required to activate a large tree, WHERE does the ultraviolet light come from at night to make the trees glow so they can replace the street lights, ultraviolet street lights? It might be better to use the some type of chemiluminescence, as fireflies use, rather than depending on one source of light to create another source of light. Street lights are an important part of our urban infrastructure—they light our way home and make the roads safe at night. But what if we could create natural street lights that don't need electricity to power them? 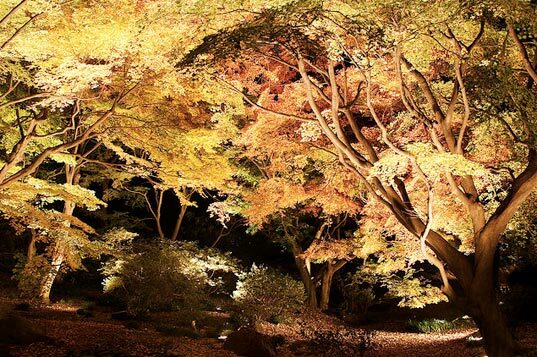 A group of scientists in Taiwan discovered that placing gold nanoparticles within the leaves of trees causes them to give off a luminous reddish glow. The idea of using trees to replace street lights is an ingenious one: not only would it save on electricity costs and cut CO2 emissions, but it could also greatly reduce light pollution in major cities.